Kimya Liaghat is a third-year law student at UC Hastings College of the Law with a focus in Health Law. At Hastings, she was a Staff Editor for the Hastings Environmental Law Journal, a Student Associate for UC Hastings Startup Legal Garage Biotech Module, and President of the Iranian Law Students Association. While attending Hastings, Kimya interned for Alameda Health System’s Office of the General Counsel, California’s Office of the Attorney General, Health, Education, and Welfare Section, and Gusto’s Legal Benefits Compliance department. Through her internship experiences, she has gained exposure working with HIPAA and privacy compliance, Stark Law, the Anti-Kickback Statute, ERISA, COBRA, and benefits regulations under the Affordable Care Act. Kimya received a B.S. in Public Health Science and a B.A. in Sociology from the University of California, Irvine, where she also worked as a Clinical Research Coordinator and Analyst for UCI’s Department of Neurology. 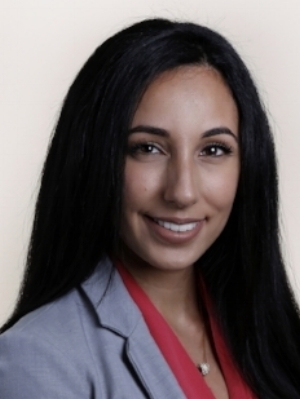 Kimya joined KGF as a summer law clerk in 2018. The firm looks forward to having her join full-time in Fall 2019. *Note: Kimya is not currently admitted to practice law.